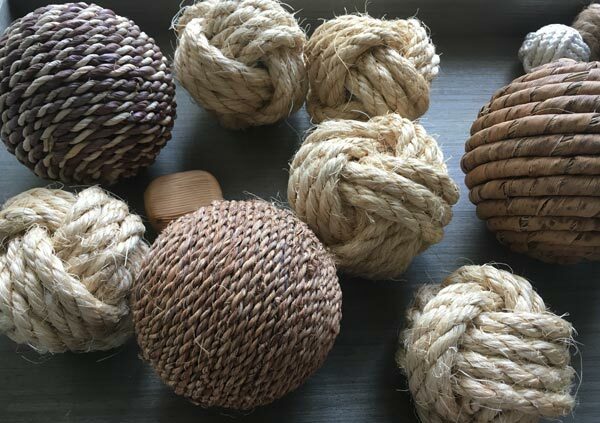 Don’t you just love the texture of these gorgeous rope balls. 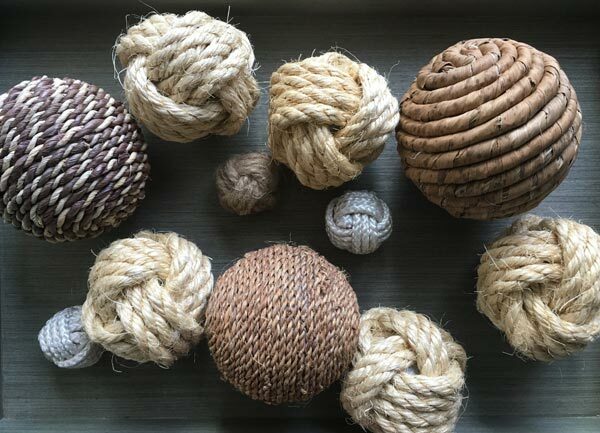 I bought some of them from Ikea years ago but topped up my display with some home made Monkey Fist knot balls. And if you’d like to know how to make them watch this fun video. 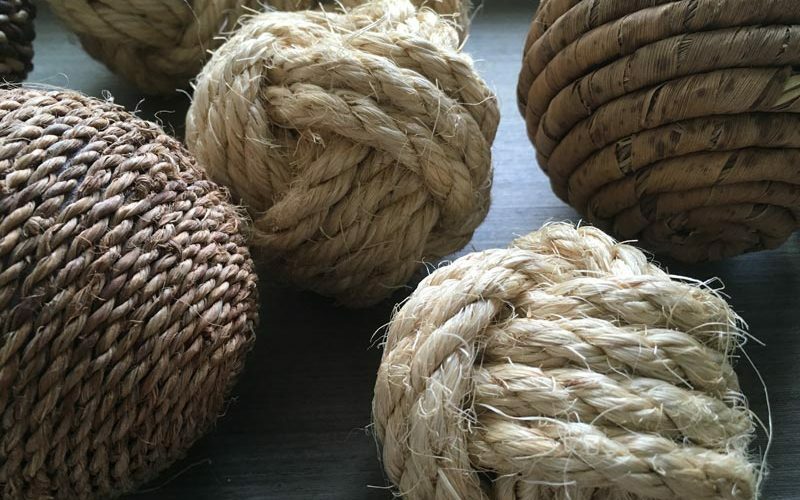 It takes a bit of practice but is oddly satisfying! 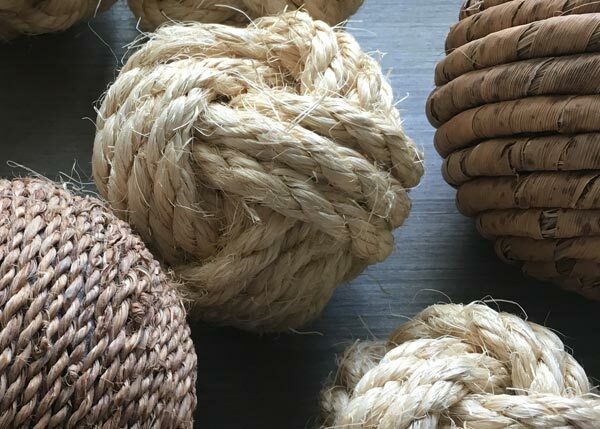 This entry was posted in Craft Projects, Decorative Accents, Home Decor, Rope and tagged coastaldecor, monkeyknot, rope. Bookmark the permalink.